The CDC says that one in 88 children has autism. Could your child be one of them? 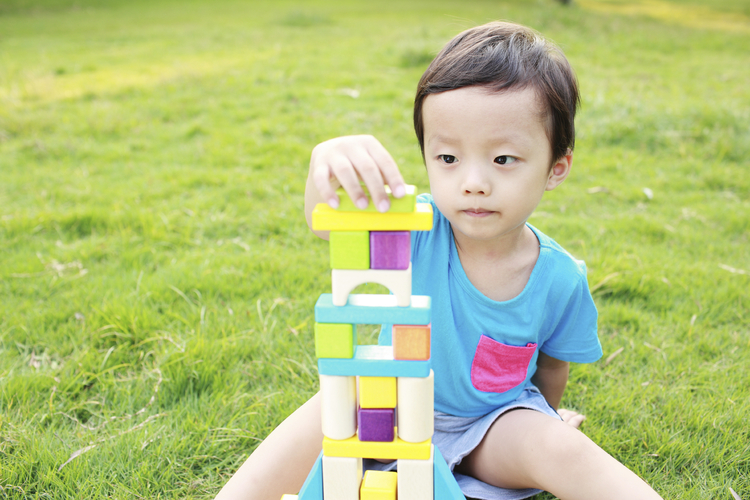 With the Centers for Disease Control and Prevention (CDC) reporting that one in every 88 children has autism—up from one in 156 in 2002—you might be wondering how to recognize the signs and symptoms of the developmental disorder. While it’s not clear what’s driving the uptick in prevalence, and the precise causes of autism are still unknown, experts are calling for earlier diagnosis. “We have to get this down to 18 months of age to truly have the greatest impact,” says Thomas Frieden, director of the CDC. Doctors have gotten better at identifying autism symptoms in younger children—four is the average age of diagnosis—but “four years old is still too late,” he says. Frieden stresses that the earlier a child is identified with autism, the more likely it is that behavioral intervention will make the disability more manageable. Parents may be able to spot symptoms of autism before a child’s first birthday, says Coleen Boyle, who heads up the CDC’s National Center on Birth Defects and Developmental Disabilities. “Parents know their child best, but if they do have concerns, the important thing is not to wait [to seek help],” she says. Susan Hyman, who chairs the American Academy of Pediatrics subcommittee on autism, strongly recommends having children screened by a child development specialist at 18, 24, and 30 months. So how can you tell? If your little boy or girl isn’t hitting developmental milestones laid out by the CDC, don’t hesitate to talk to your pediatrician. At this age, your child should be moving up in his ability to communicate. Simple “oohs” and “ahhs” are typically replaced by a wider variety of sounds, and maybe even words like “mama.” Slower speech development isn’t necessarily cause for concern, though. As your child nears his first birthday, his eyes are the most notable red flag. At nine months your baby should be able to make eye contact, and even recognize familiar faces and emotive expressions. Children with autism struggle to maintain eye contact and often cannot mimic facial expressions like smiles or frowns. Cognitive development is usually in full swing by 18 months. This is the “fetch” phase, when your child starts to hand things back and forth with someone else (or throw them and expect them returned) as a game. Children generally have no difficulty picking things up, eating with a spoon, or drinking from a cup without assistance. Sorting shapes and building towers usually become habitual playtime activities at this stage. Being able to follow single-step verbal commands, like “sit down,” should also come easily at this point, as should the ability to pronounce simple words. If your child is still relying heavily on communicating by babbling or gurgling rather than saying actual words or pointing, prick up your ears. They don’t call it the “terrible twos” for nothing. This is the age of temper tantrums and other defiant behavior. As obnoxious as this may be for parents, tantrums and rebelliousness are key traits in your child’s development. Along with insubordination comes the want to do things—like eating, brushing teeth, and choosing clothing—independently. If your child argues or throws a fit, it signifies his understanding of more complex verbal demands. Your child should also be able to relate words with objects; you can test this ability by playing games that involve him pointing to a picture of a word or having him ask for things he wants by pointing at the object or saying its name. When your child is three, pay attention to how he is handling more complex communication or situations. By now, basic understanding of grammar—such as the use of “he” versus “she”—should come naturally, and your child ought to be able to express emotion either verbally or using facial expressions. It’s also time to introduce your little one to more complicated toys, such as puzzles with four or five pieces and objects with levers and buttons. If he struggles with this type of communication and play, that’s worrisome. So too is your child’s inability to relate to others. Showing concern for a crying friend or being wary of new people is normal at this age. If your child seems to demonstrate a lack of empathy or a disregard for other people, this may be a red flag: Children with autism often struggle to adapt to social settings. By now telling stories and singing songs from memory should be a cinch for your child, and following instructions with more than one step should come naturally. Cognitive abilities usually include being able to turn pages of a book, open doors, catch a ball (some of the time), draw shapes, and count. Your child should also be able to communicate with his or her peers and jump at the chance to do so. At this age, it’s important not to mistake shyness for your child’s inability to handle his or herself in social situations. But if you notice your child struggling to relate to familiar children by sharing toys, playing make-believe games, or carrying on simple conversations, talk to your pediatrician.